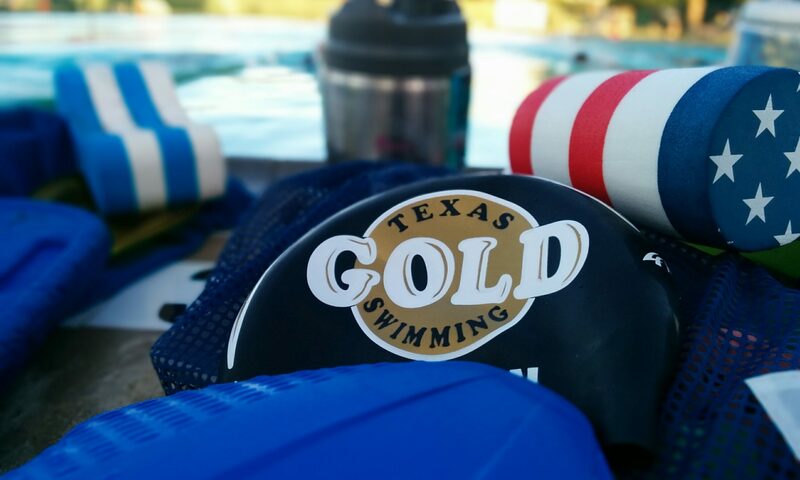 We are a swim team for adults over 18 years of age in Central Texas. Our team has coached practices that are tailored to your ability and goals. You will learn a variety of skills, work on your strokes, and improve fitness. We have varying abilities of swimmers. If you can float and swim across the pool, we have a spot for you. We have fitness swimmers, competitive swimmers, and triathletes. U.S. Masters Swimming registered visitors are welcome. To join you must become a member of U.S. Masters Swimming. Then you also need to register with our team. You are welcome to check us out before you join. Find our schedule on the practice page. Have kids that want to swim? Texas Gold Georgetown also has an age group (kids) team. It is still going to be pretty cold outside for our morning practice regularly at Village. Therefore, we are moving morning practice Wed, March 6 to the Rec Center at the same time. Tues Evening (3/5) is also at the Rec. We will move Monday evening (3/4) and Tuesday evening (3/5) practices to the Rec. Center. Same time: 6:30-7:30pm. During practice on February 23, are participating in the 2019 USMS Winter Fitness Challenge. A 30 minute swim, done in any way you want. Straight through, as a relay, with fins, as a practice, or whatever. Sign up below!